Safari has earned a reputation for great food in a casual atmosphere as one of North Toronto's favourite neighbourhood bar and restaurants. Fully renovated, Safari is celebrating 22 Delicious Years on Avenue Rd! 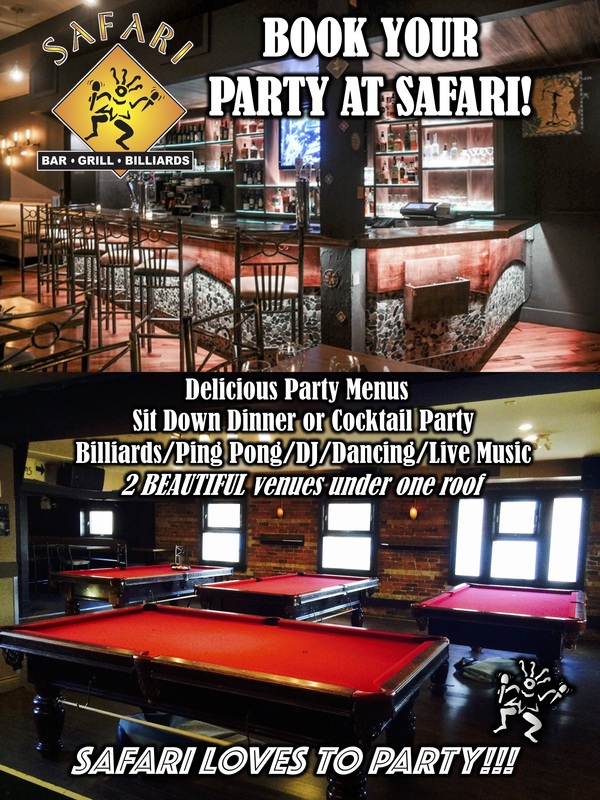 Safari is comprised of a main floor restaurant, second floor billiard room and lounge, and is home to one of North Toronto's largest heated outdoor patios. Since opening in 1995, our goal has always been to offer hospitality in addition to friendly efficient service. Our strength lies in the kitchen, preparing every item on the menu including all signature sauces, dressings and desserts in house, always using fresh available local ingredients. to be enjoyed in a warm and inviting environment.